Changchun City is situated at the heart of Songliao Plains in northeast China, and it's counties and districts located at 124'18" - 127'02" east longitude, 43'05" - 45'15" north latitude. The total area of Changchun is 20,571 square kilometers, including municipal areas of 2,583 square kilometers, and the municipal constructed area is 159 square kilometers. The city is 250 - 350 meters above the sea level. The city stands at the center of the three northeast provinces, and at the crisscross point of the third east-westward "Europe-Asia Continental Bridge". 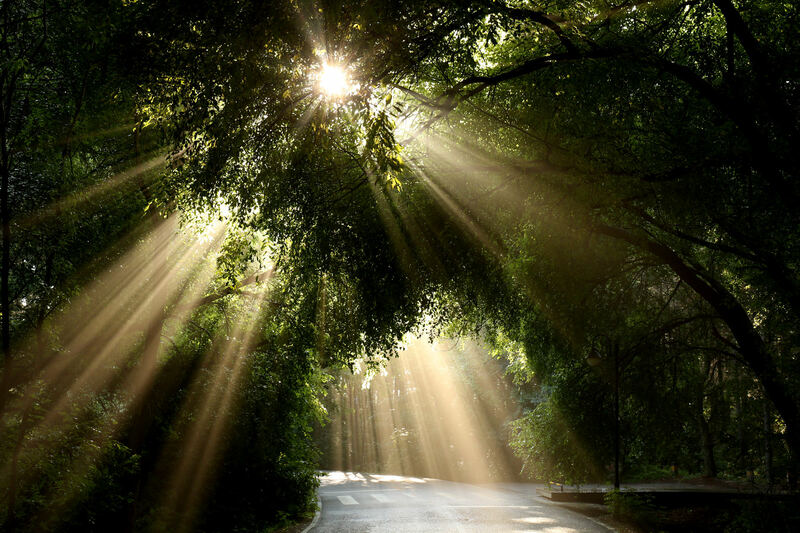 As a beautiful city, Changchun has a pleasant climate and distinct scenery in each of the four seasons. Owning the largest artificial forest of Asia, the city, 41.5 percent of whose urban area is covered by green, is awarded as the “National Model of Green City”, “National Model of Environmentally Friendly City”, and “National Clean City”. Originating from “Sky Pool” of Changbai Mountain, It runs 849 kilometers and covers a total water area of 78180 square kilometers, which is known as the largest river within the territory of Changchun and the largest tributary of Songhua River. The Changchun section of the Second Songhua River runs 188.2 kilometers covers a total water area of 1499.6 square kilometers, with an average depth of 2.5 meters and width between 250 and 280 meter. During flood season, the width may range between 600 and 1, 500 meters, and occasionally even 760 and 3, 500 meters. The annual runoff reaches 16 billion cubic meters. Winding through the wide alluvial plains, the Second Songhua River section is of great importance to the local corn and rice production. 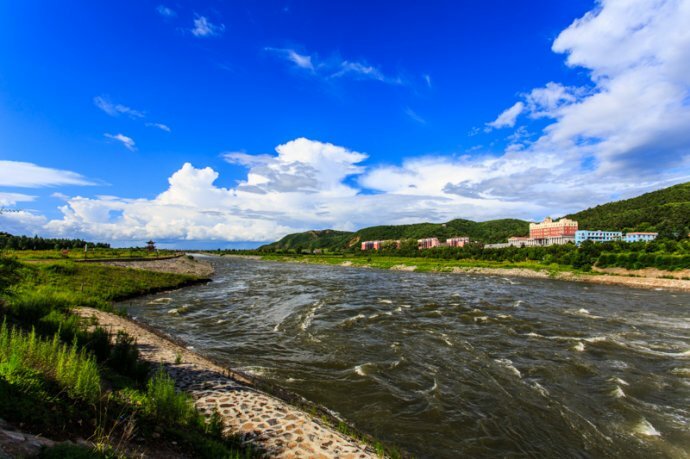 As the first-level tributary of Songhua River, it is also one of the most important rivers in Changchun area. 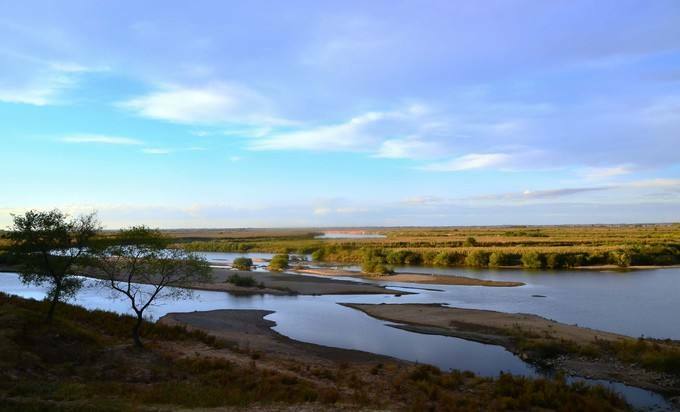 The river runs 386.8 kilometers and covers a total water area of 18, 247 square kilometers. Changchun section records 293.6 kilometers and covers a total water area of 11122.9 square kilometers. The annual runoff, ranking after Songhua River and Lalin River, amounts to 1.6 billion cubic meters. Its irrigation area has been increased to 11, 500 hectares, increased by 57 times, from 200 hectares before 1949. 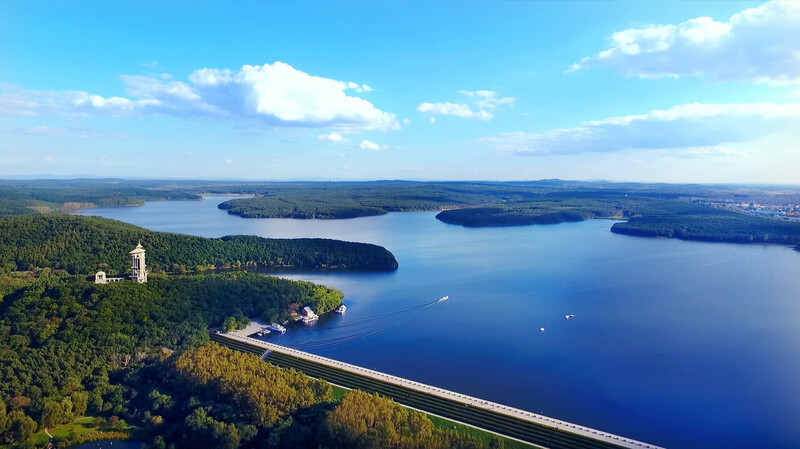 Established in 1959, Shentoumen Reservoir supplies 13, 300 and 4, 000 cubic meters respectively for agricultural irrigation and drinking water annually. It also plays an important role in electricity generating, fishery and so on. It is the largest tributary of Yinma River and one of the major rivers in Changchun area. Originating from the northern part of Qingding Mountain, Yitong County, it winds through Changchun and Dehui, and into Yinma River in Nongan County. 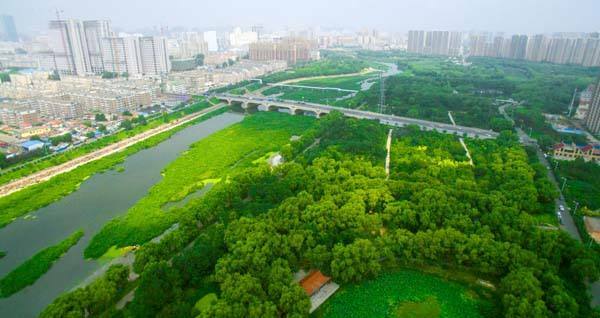 Yitong River runs 342.5 kilometers and covers a total water area of 8, 440 square kilometers. Changchun section records 286.9 kilometers and covers 5412.9 square kilometers. During the flood season, the width ranges from 70 to 100 meters, occasionally, from 110 to 3000 meters. The surrounding areas have relatively developed agricultural economy. Yitong River ever contributed a lot to the establishment and development of Changchun City. In earlier days, the local residents could transport grains and woods, and expand business relations with neighboring areas, thereby facilitating the local economy. During the late Qing Dynasty, however, it lost its waterway functions because of the hydrological changes and was substituted by railway transportation.